If you’re thinking of investing in buying backlinks, think again! Here I’ll explain what are the methods that work in 2019 and always will. And what to avoid. Web is abundant with sellers of PBN (Private Blog Network) backlinks and other links with promises of higher search engine rankings and SEO benefits. While high quality PBNs and other methods for creating good backlinks exist, this is not what the popularity of “best selling” backlink sellers is based on. All it takes is a clever marketing technique and a group of unsuspecting customers that gets them the reviews they need for increased trust and sales. To be honest, if you would really know what you’re doing, you would likely not be buying backlinks from an unknown source. That’s because the best way to guarantee high quality is to create links yourself or start a PBN with a group of friends. Fact is that most bought backlinks face many problems, such as poor relevancy, spammy content, low-authority, links loose power quickly or are taken down later. In my 12 year SEO experience and counting, it never fails to surprise me how many highly reviewed backlink sellers sell nothing but placebo or spam at worst. How can there be so many positive reviews for bad backlinks? Let’s face it, most people are aware that there are good and bad backlinks, and that spammy poor quality ones can even hurt your website SEO. 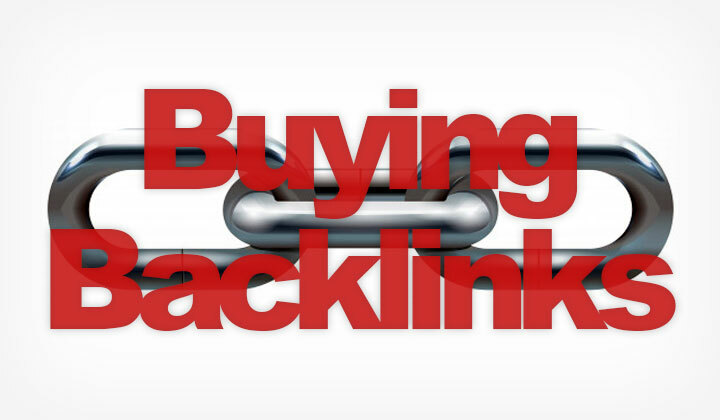 Buying backlinks is a grey zone, where you really don’t know what you’re getting. On top of not being able to tell the difference between poor and high quality. All this uncertainty, will want to make people believe that they made the right choice. But that choice, is based on nothing but reviews from amateurs. Simply put, it’s a fake believe system. Where can I buy high quality, and trusted backlinks? No worries however, there is one type of backlink that is always of high quality, relevant and works in 2019 and will always work long into the future. It’s called “outreach SEO” or “blogger outreach” which is a method of contacting owners of websites and blogs in the masses, asking them to link to your site. This is a completely safe and legit method for producing natural backlinks. But as with anything, you really need to know what you are doing to get results. Trust me, outreach is a much better, long term investment than ordinary backlinks. And you can have an SEO professional do all the work for you. One place to search for outreach SEO services is here on Fiverr pro. While Fiverr also has cheaper outreach services, these PRO gigs are more expensive, verified experts that know what they are doing and will not disappoint. Still cheap, considering that you get quality backlinks for life. And that’s all there is to it to get you started..! So do everyone a favor and stop useless spamming of the internet and do yourself a favor and get stable Google rankings, right until the top. Any questions about the difference of good and bad backlinks? Or outsourcing blogger outreach? Comments welcome. Thanks for your visit and for reading, Tim. While staying true to my words with a focus on bringing the best quality content on my blog, at times there are affiliate links placed within. Thanks for supporting me. 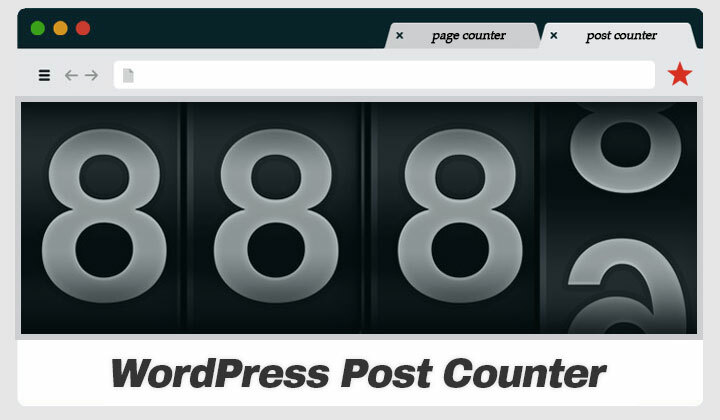 This is quick guide on how to display the number of current posts (or pages) published on WordPress; either with a snippet for pages, posts & widgets or directly in the code with PHP — & without plugins of course. This requires functions.php editing — or more like copy/pasting skills. Here are examples of basic snippets; just add the code to your functions.php and the snippet itself can be used in posts, pages and widgets. Snippet “[totalposts]” test: Blogging hard at 296 posts to date! Snippet “[totalpages]” test: This website has 7 pages in total. Snippet “[totalpostpage]” test: All posts and pages combined is 303. To add this directly to code; let’s say in your footer via footer.php so it shows on every single page of your WordPress website. Use the above code examples without the add_shortcode line if you don’t need the snippet feature. For an example check out the footer of this page! Also you will want to use a WordPress child theme for this so the code is not over-written when you update your theme for example. Thank you for stopping by and having a read. Please share or mention this post if you found it beneficial. Check this page for essentials on Bluehost server locations and find out suitability for your web hosting needs. I’ve also conducted a speed test and found out if their data center is as good as they say — now with updated info in 2019. The main US hosting operations are focused at their Unified Layer servers in Utah. With strategic location in central USA in a highly connected facility. Note: All plans include Global CDN for an extended high speed global connection. Also US servers are available through the India website. The first (1) is available in both Chinese and English, targeting Chinese or China-based customers who want to expand mainly through Hong Kong for good connection to both mainland China (connected to China Unicom & Telecom) and beyond, hosted at Telehouse data centre. Also hosting provided to UK, India and US locations. The second (2) is only in Chinese language, targeted at deploying low latency and redundant mainland China hosting through their stable, high-speed Shanghai server location — with Shanghai Blue Network Technology Co., Ltd. Note: With Shanghai location, ICP license is required. The Utah hosting facility is connected to the Unified Layer “United Layer” data center and hybrid cloud network, which spans across North America for seamless connections throughout the country. Here are the specifications. The tier classifications tells the type of hardware that is deployed and the uptime/redundancy capabilities. Three is the second highest from a scale of 1 to 4. This means that a downtime of 1.6hours/year and availability of 99.982% is to be expected. The weakness compared to tier 4 is that it’s vunrable to serious outages or incidents that could at worst case produce longer downtimes. Considered as the future of enterprise level network security — creating an onion-like security around the network. Great for fast disaster recovery and data security. Not just the server, but also the website has a lot to do with page speeds. So to make this a fair test I’ve selected a WordPress website hosted on Bluehost that hasn’t done any significant mistakes; also they have done nothing to optimize the website. Poor optimization is still the unfortunate reality for many websites, and therefore it also makes this a realistic case scenario to test. Seeing the performance in a more demanding, non-optimized environment (details below). They could easily double the performance with some tweaks. But anyway. This engineering company in Lima has a WordPress site “powered by bluehost” and has managed to achieve a 727ms page load time for their homepage. In other words — if it takes around 400ms to blink your eyes, most of the page has loaded by the time you open them. All the files that have to be loaded to show this page are 1.0MB in total. This is decent, while many websites (like this one) can afford to improve. Squeezing image file size and minifying CSS and JS files can significantly reduce page size, and thus make your website much faster. This basically just means that 28 different files were loaded when viewing the web page. Again, something normal with webpages nowadays — however totally unnecessary when you can automatically combine most of these files into one file for significantly faster load times. This is the easiest tweak in the book of tweaks — turn on cache. Which often has tremendous impact on performance — halving your page load times. This website has missed out on all of the above mentioned, simple and effective opportunities to speed up their site — yet it is performing very well. It just makes me wonder what kind of speeds could we get with better site infrastructure. Maybe content for a fun case study article — what do you think? If you have any concerns about speed, location or just the hosting — please, leave me a comment with your question and I will get back to you soon. 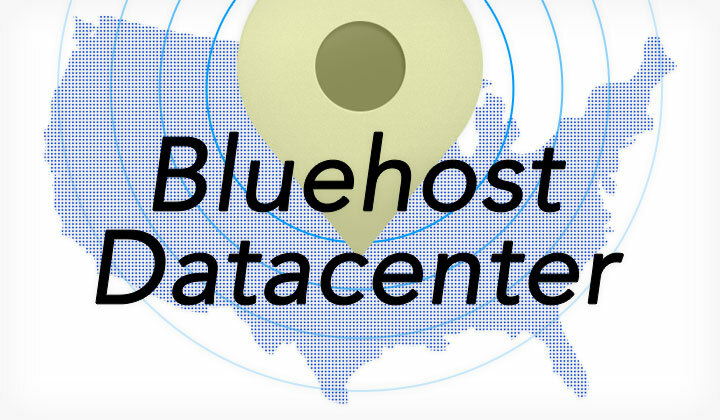 Why is Bluehost not disclosing their data center locations? Many hosting companies prefer not to, for various reasons. In Bluehost’s case — they are obviously a big company, which has and does use different data centers to utilize optimized infrastructure. So the situation is not so obvious. Especially after being acquired by Endurance International Group (EIG) — they have broadened their collaboration with other hosting companies and data centers to continue to look for optimal business solutions and to grow their operations. The other factor is for security reasons, where they would simply prefer to keep information confidential that is connected with their client base. Should I be using a CDN with Bluehost? This is a very broad question to which there is no straight answer. But I can say that with Bluehost’s central location in North America, many smaller or medium-sized websites, or websites with no heavy content can manage without — even with a global audience. However generally there is no harm in utilizing CDN and there are many affordable solutions available in today’s market. If you have high traffic or heavy content, such as videos, big images, files for download etc. I recommend utilizing CDN. What is the availability of European locations? Pretty null as the only available location for the continent in London, UK can only be deployed by Bluehost China. If concerned about latency for European customers, using an CDN on their US server is advised. This document will be updated with new information when necessary. 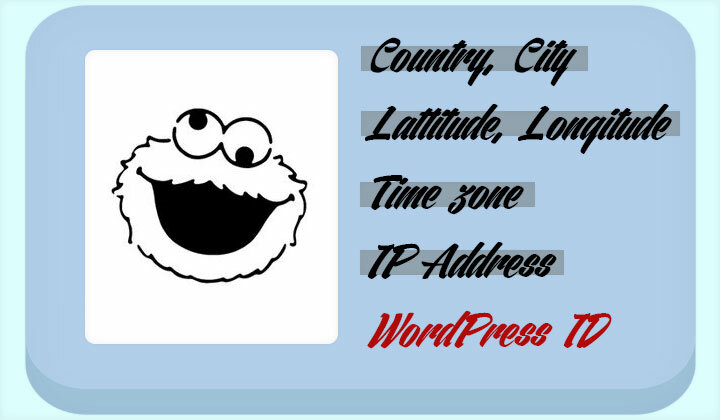 These are simple instructions on how to display visitor location information (such as country, city, coordinates) and visitor’s IP address inside WordPress content; post, pages, widgets — without the use of a plugin. It’s easy but you’ll need to know how to edit your functions.php file. This method uses a free Geolocation API to fetch location information from MaxMind’s “geolite2 database” based on visitor IP address. The information can be show in pages, posts and html/text widgets using a simple shortcode. If you only want to show the IP address there is no need for the API — and I’ve included and example of a simpler shortcode function for that. If you want to show different content based on the location data (such as the country location of a visitor); please see this post. Note that you need to edit the word ‘visitorlocation’ or ‘visitorip’ three times in the code to change the name of the shortcode. If you are seeing the server IP address instead of the visitor IP, try to change [“REMOTE_ADDR”]; to [“HTTP_X_REAL_IP”]; — to pass any proxy/firewall. And that’s it to display location info on WordPress — easy peasy way. And please mention this post or share if you found it useful. Thank you — & comments welcome! In today’s SEO powered world — the most cost effective way to run your WordPress website is to combine high performance web-hosting with a free SSL certificate. Many hosting companies are not willing to loose their certification business. But the trend is changing — and the WordPress perfected WP Engine Host has implemented the free Let’s Encrypt initiative to take all their websites to the next level. How does it work? Are they crème de la crème of free SSL WordPress hosting? In this review I’ve done my best to find out! To install the free SSL/TLS certificate is extremely easy. It’s 1 minute faster to activate HTTPS before you install a new WordPress site. If you are migrating a new site or have one ready installed — it’s easy too (see below). Warning! There are other guides that show overly complicated or old methods. I have made sure this is the latest and the simplest way. Step 6. Optional — if the website already exists. Finally: Check the WP Engine SSL Guide for all the necessary details. For many who run an e-commerce business or websites that process user sensitive data, commercial SSL/TSL certificates have long been in common use. When it comes to blogging and ordinary website owners, the bar has been lifted with Let’s Encrypt. It’s no longer a question of outweighing the benefits with cost. It’s just the smart thing to do! To enjoy optimal benefits in terms of search engine visibility and protecting, creating trust with website visitors, we need both (1) security (2) performance — as the combination of both is the basis of hosting success. 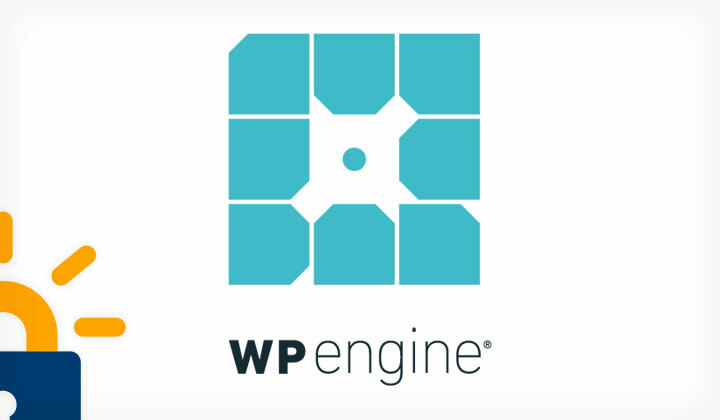 WP Engine is a registered trademark of WPEngine, Inc.
Perhaps the biggest downside of SSL certification itself, is that there is a slight increase in network and resource intensiveness. But these increases will be left unnoticed unless you are on really bad hosting. Websites are hosted on top-of-the-line Google Cloud servers in California. Yes — if you want to rank on Google, being hosted on Google is not a bad idea! 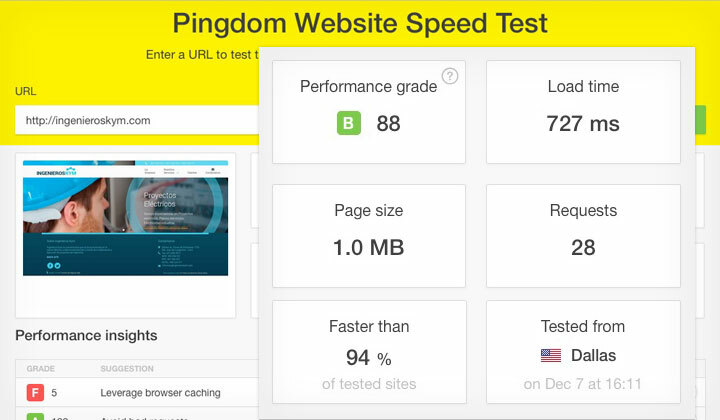 The platform uses HTTP/2 which is the latest version of the HTTP protocol over SSL/TLS which improves page load times. Many of you know by now that Google gives an advantage in rankings and search engine visibility for websites that are encrypted with SSL certificates. And even though Let’s Encrypt is totally free, it covers some great benefits in itself. Some browsers favor commercial certificates in giving them more clear indications to website security, such as the “Norton Trust Seal” for Symantec. The times are exciting as technology improves. I hope I’ve covered the essentials and I am always willing to elaborate and update the post as new information surfaces. Hope this was helpful and thank you for reading. Any questions about securing WordPress with SSL or WPEngine? Comments are most welcome below. Please note: WebHostWhat.com is affiliated with WP Engine and some of the links on this post are tracked through cookies to reward me with commission for purchases made through them. This won’t affect your purchase or my judgement in any way. Thank you. 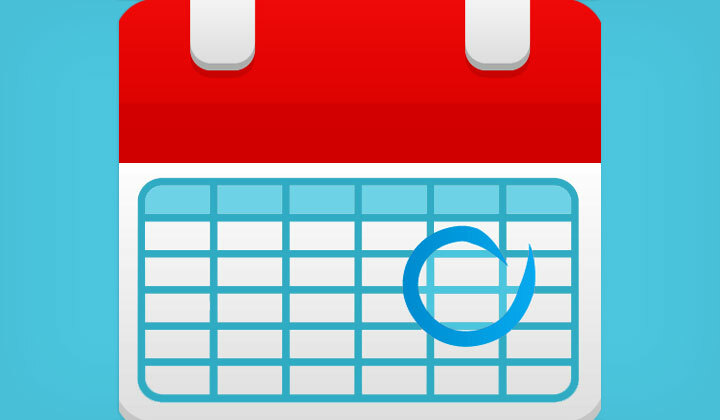 Simple instructions on how to show the name of current month, year or any date information on WordPress posts, pages and widgets; without a plugin. Note! You will only need some functions.php editing skills. Not just Google but also blog visitors like to have the feeling that posts are up-to-date; and displaying the name of the current month, date will do just that. The code below should be added to your functions.php file (usually the bottom); do that from WordPress dashboard: Appearance –> Editor –> Theme Functions. The part “date(‘D, j F Y’)” defines the date format; you can edit it with many different parameters (see examples below) — you can find a full list here. By default the server time is used — I’ve added examples of how to show the date from a different time zone — see list of supported time zones. Make sure that you are using a WordPress child theme or otherwise the functions.php will be overwritten by any theme updates. If you make a mistake in functions.php; WordPress can stop working until you remove any broken code from functions.php. Example: Today is the month of April — am I correct? Example: The year is 2019 — and you’re not getting younger. Example: Today’s date is: Thursday, 25 April 2019 — says my server. Example: It’s Friday in Tokyo; but Thursday in New York. And that’s all there is to it; no WordPress plugins needed. Is the month name, year, or date info displaying correctly? It doesn’t matter if you’re a pro or a total novice.. PeoplesHost provides the two things we all need from web hosting: speed and good support. And there’s more — Free SSL certification to secure your site! Website owners are increasingly turning to smaller hosting companies like PeoplesHost for better, personalized service. But just like with big companies, choice is crucial — behind the PeoplesHost team, there are experienced industry professionals who decided to go their own way. Now redefining the cheap and slow stigma of shared hosting and beating their competition. So let’s get to the practicalities, shall we — the review. 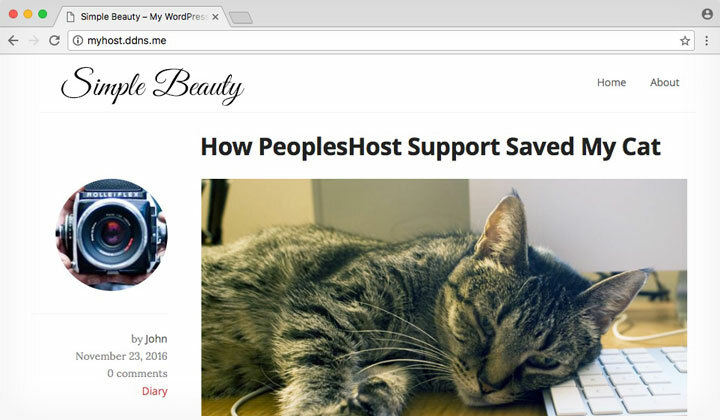 Just like other hosts — PeoplesHost uses cPanel and for good reason; it’s the easiest to use, has the best support and provides a one-click WordPress install function (and anything else from beginner to advanced features). So nothing new there — “easy to use” is no longer a market, it’s the default. What you are getting with PeoplesHost, is essentially a winning combination; everything that Google wants — with fast page loads and a trusted SSL certificate, you’ll rank, convert and be trusted more. In this simple case study I have tested how a WordPress blog can achieve top performance by using the cheapest, basic shared hosting plan. Now that site performance is more important than ever, many are investing on expensive hosting to speed up their site and business. While advanced VPS hosting is still recommended for big companies or the tech-savvy, with PeoplesHost, shared hosting will be adequate for most people as demonstrated below. Every website should be using cache to speed up their websites. 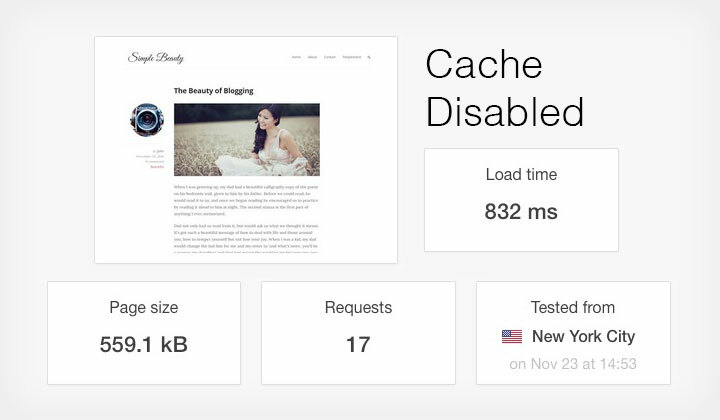 But for test purposes, I’m still seeing page loads of less than a second with cache disabled — this is a basic WordPress install, loading many images, fonts and a list of blog posts. Second test is more realistic. I’ve used the free WP Super Cache plugin to enable PHP Caching for the blog. It’s all I did and we are down to less than half a second. I could keep on pushing by removing render-blocking, improving browser caching and compression.. or installing a commercial cache plugin.. but you get the point. To put this in practice: You barely have time to blink before a page is loaded — given that it takes from 300 to 400 milliseconds to blink your eyes. Traditionally SSL certification has been a significant cost over hosting, used mostly by businesses that mandate protection of secure credit card transactions or other user sensitive information. PeoplesHost is part of a movement to change all that. Not long after Google announced HTTPS as a new SERP ranking factor, a completely free SSL certificate authority Let’s Encrypt was born. Making certification accessible to everyone –– and there is a catch! Your hosting company needs to support it; sacrificing their commercial certificate sales business. To install the Let’s Encrypt certificate for your website, you will need to contact support staff and ask them to enable it for you — and that is all there is to it. “The way we’ve got it set up is that a customer must put in a request, we enable it on their account, and they’re good to go. There’s no module/icon in cPanel that you can see when logged in. We’re working on getting an icon/module so customer’s can log in and see it themselves as well.”, explained Gregg from PeoplesHost. If you ask me — there’s not much point in supporting hosting companies that are not offering free SSL certification, unless you have a big business that wants to profile their company with an expensive certificate authority. I’m hoping free SSL will be the next industry default after “easy use”. Support is crucial when sudden situations emerge — nothing is worse than congested support and lack of dedication to customer service. Something that troubles many businesses and one of the reasons to read reviews in the first place. Over the course of being in contact with PeoplesHost, I have began to know a competent team that stands behind their words. They know that for them to beat big business, they need to have meticulous support which they have indeed. Enough said? Get in touch with PeoplesHost. There is plenty of more great features not mentioned in the review — here I’ve tried to cover the rest of the essential bits. The biggest ‘downside’ of the service is that storage, and bandwidth is mostly limited. If it fits the resource needs and your budget, then at least you know what you are getting as this is no marketing ploy. All websites hosted at a “tier 4 data center“, which is a technical term, meaning that the server location is equipped with the most reliable uptime technology available. The physical location is in Orlando, Florida. If high performance on a global scale is required, they support CloudFlare CDN and other content delivery networks. If I’m being overly positive, not finding anything wrong with their hosting services — I am still realistic and think that no host is free of mistakes or bad calls. That’s why being transparent and effective in responding to problems is one of the most important traits a hosting company can have. I am simply thrilled to see a smaller player like PeoplesHost to excel in so many areas — beating the corporate hosting takeover. Thanks for reading — if you want me to cover something else in this review or have any questions just let me know. And good luck. Displaying custom content based on the country location of a visitor; the best and most accurate geolocation plugin for WordPress is Geotargeting WP (trust me, I have tried them all) — looking for a cheaper solution I discovered an easy way to build a basic system without a plugin; for completely free. These are simple instructions that anyone with little WordPress understanding and functions.php editing skills can follow — or others can improve on. Warning: editing your functions.php can break your site; make backups. The location information of users IP addresses is based on free MaxMind geolite2 database — considered the best out of free options but not perfect. Personally for me it has been very adequate and it’s even updated on a monthly basis. To get the location data; I’m using a third-party GeoIp API which is hosted for free by a kind individual. While there are no limits to how much you can use this service, your IP can get blocked for abuse and you have no control over it. It is hosted on a DigitalOcean server in the UK (previously Netherlands) on both HTTP & HTTPS, which is considered reliable and I’ve never had problems with it. It’s possible to create a clone of the API and run it on your own server (instructions available); which will give you full control. There are other public or self-hosted geolocation APIs that you can also use (this code needs the data in JSON format) such as FreeGeoIP and others. No worries if you didn’t quite get all that; you can just use the code & be happy. You have a code in your functions.php that creates a shortcode such as “[geolocation]” which defines a country or group of countries and the custom content. You can place the shortcode “[geolocation]” in post, pages, widgets and when a visitor triggers the country location requirements, it will show the content as desired. Please note; two-letter codes are used to define country names. See this post for a better example on showing location data. And that should cover the basics — comments welcome. PS. In this example there is only two content triggers; one for a list of countries and the other for everyone else. You can also include more custom content with a more complex set of triggers — also by city location. This will never work with caching — you need to disable WP Rocket, W3 Total Cache, WP Super Cache or any other caching method for the page/post using this. If your website is behind a proxy or firewall that is preventing it from seeing the visitors real IP address; try to replace $_SERVER[“REMOTE_ADDR”]; with $_SERVER[“HTTP_X_REAL_IP”]; — to see if that works. And there you have it without any plugins — custom content shown based on country location. And the free IP Geolocation API also knows things like City name, Full country name, Latitude & longitude, Time zone. Thanks for reading and please, share or mention my post if you benefit from it! Smaller hosting companies like Host4Geeks are tough competition on all three areas of demand — server performance, customer service & price. Increasingly many are turning away from big insensitive companies (like those acquired by EIG) and finding much better service elsewhere. This is how I made the swap! 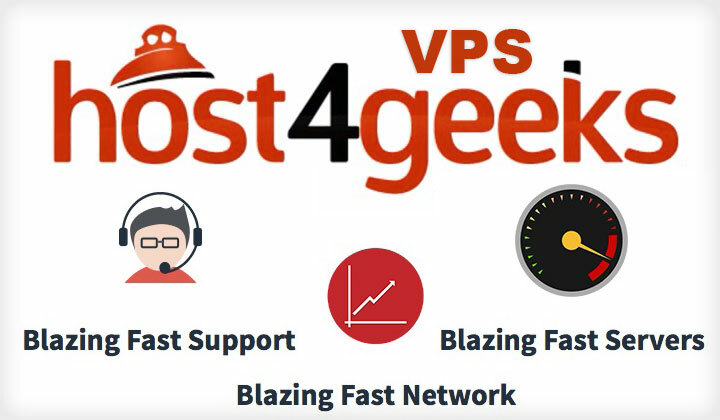 As a customer of Host4Geeks — in this review I’ve covered the essentials on what to expect with their blazing fast Managed VPS plans. The servers of Host4Geeks, especially with VPS — is designed to withstand demanding infrastructure requirements. But don’t take my word for it, I’ve conducted a speed test (more on that later) to see how well they perform in practice. All VPS plans come with full access to 4 CPU cores which is why everyone gets to enjoy impressive processing power, ensuring websites run smoothly. Storage starts at 50GB for the most basic plan — they are storing the data on RAID 10 arrays, but it’s actually a hybrid setup with SSD caching. In this way the most frequently accessed portions of the website is accessed through the SSD drives, keeping data transfer optimal. Don’t be fooled by VPS providers who claim they are fast just because of SSDs — this actually proves very little. Bandwidth is also limited starting at 2TB/month — due to high speed, high quality datacenter infrastructure, an unlimited plan at this would be unlikely. Also you’ll get advanced mitigation technology and DDos attack detection. Together with good uptime (planning to release data on that later), you can trust on your site to keep your business on track. Three strategic datacenter locations in North Carolina US (East Coast), Los Angeles US (West Coast) and Maidenhead UK. 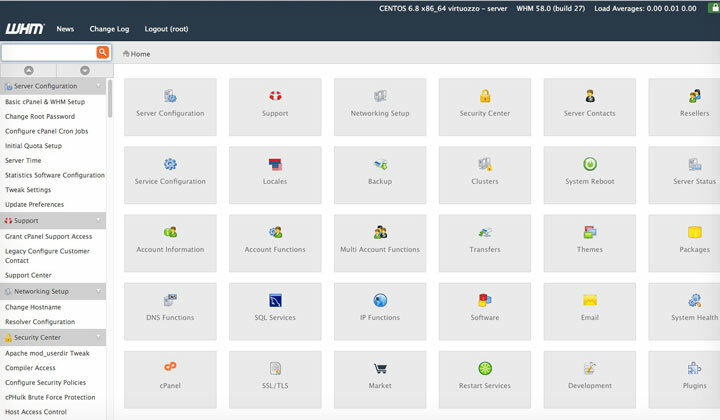 You will have access to WHM (Web Hosting Manager) where you can create hosting accounts that run with cPanel. This is the easiest and most standard hosting format so you don’t miss on any action. The VPS pricing is one of the most competitive on the market — in comparison to the level of service. One of the reasons is the use of SAS RAID 10 HDD drives which are much cheaper than SSD. As well as factors like limitations in bandwidth and storage although generous as such. Starting at 26.95/mo, you can already host an extensive site portfolio. Add only 2/month for extra IPs and you can run all the sites on different IP addresses. And importantly pricing is transparent without annoying upcharges or hidden fees, so most customers will be fine with the base price. You will have to pay extra for automatic backups though, but that’s something easy to setup for yourself. So I’m not personally paying for it. You may add a small discount to your plan, the best is 10% off and it’s recurring so it will become significant over the course of time. See this Host4Geeks Discount Guide for more detailed information on that. And one more thing! Host4Geeks supports easy two-click install of Let’s Encrypt which is a free SSL certificate authority. Meaning that you can secure your website with SSL for absolutely free. Already there you can make huge savings — catch two Google ranking factors with one stone: SSL and fast page loads. Perhaps one of the best perks of Host4Geeks besides speed, is the equally speedy and super friendly customer service. Something almost impossible to get with big hosting companies. If you have a support question, they are ready to respond around the clock — but not just that, they go way and beyond to help you with anything you need. Read: They won’t give you ready written answers to annoy you. But actually try to get to the bottom of things with whatever issue you are having. I have been truly impressed as the support goes beyond regular hosting services — willing to work hard to make the VPS work for any specific needs. Another example is when the server is deployed, usually within four hours — they will keep in constant contact with you throughout the process. To get a perspective on just how powerful of a hosting environment Host4Geeks really is — I’ve done a few simple tests to compare VPS speeds with the massive DreamHost company. The test was done on exactly the same website, running WordPress and Piwik Analytics — with both Host4Geeks and Dreamhost VPS plans. Without any cache plugins, just to see how each can handle raw power with a loosely configured, resource intensive setup. Even though Host4Geeks has it’s own East Coast server in North Carolina, to put a little spin on things, I’ve used the West Coast server in California. One of the tests was done from New York — 3500km further than the DreamHost server in Virginia. 1GB RAM, SSD storage, unlimited bandwidth & domains, core power undisclosed. 2GB RAM, 4 cores CPU, RAID 10 storage with SSD caching, 2TB bandwidth, unlimited domains. 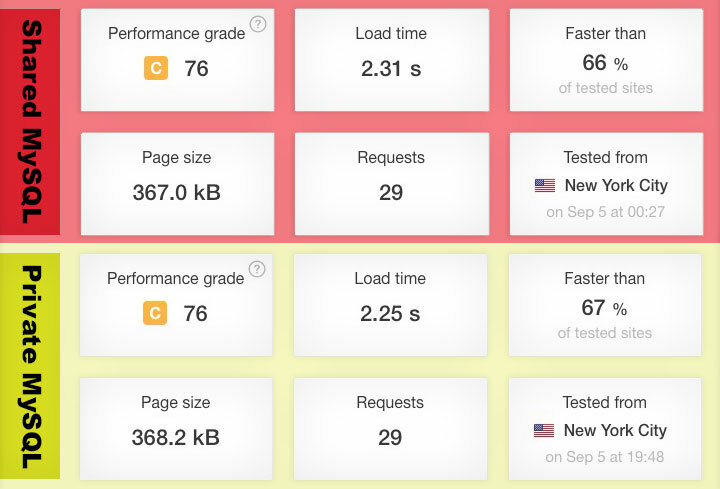 Over a span of speed tests from New York, the page load time was significantly faster with Host4Geeks despite having much more latency. Also the speeds were constant, compared to DreamHost which was averaging a second slower than it’s fastest speeds. The official address of the company “Host4Geeks LLC” is located in Walnut, California but the CEO is originally from Pune, India and obviously has staff in India too. My name is Kushal Raha, presently I am working and living from Pune, India. For the most part of the year I’m usually traveling around and working from various parts of the globe. To start off I always had the business spirit within me, so even in my younger days I was selling video games to my high school friends, doing some small website design works for various local businesses and you know, doing whatever i can as a youngster to get some extra cash in hand. And then, I also worked remotely for various web hosting companies, and that allowed me to gain some really important industry experience, which really helped to start Hosting4Geeks and today I’m the CEO and co-founder at Host4Geeks. We are basically a full-service web hosting and infrastructural service provider. We host about 5000 clients who host their websites with us and trust their online businesses on our platform. We serve customers from all over the world. Have an experience with Host4Geeks or questions about their services? Please, don’t hesitate to leave a comment! These are basic instructions on how you can define the WordPress canonical URL for each post or page to use either the http or https protocol — without plugins. Also known as; conditional canonical URLs. In this way — you can tell Google which protocol version of each page of your website to index; with mixed http and https pages as you like. See this post for instructions on hosting WordPress on both http/https. This requires the use of a WordPress child theme — and then copy over header.php for editing and also functions.php will require some code obviously. Use the below code to create a function with a list of post/page IDs — for which you can define either http or https to be set as the canonical URL. Also front page can be defined in this example (for static front pages see below). If the viewed content is anything else the last definition will be used. By default WordPress includes a canonical in the content which changes to http or https automatically depending on which version the visitor is on. Obviously place the domain URL with your own. For a static front page — get the ID by going to your database with phpMyAdmin and look for the page_on_front value under option_name; it will display the ID number. I haven’t included categories, archives and other such pages in this examples — for those please see all the available conditional tags for WordPress. Hope this was helpful and would love to hear your comments about this! The Michigan born A2 Hosting, also known as ‘A2hosting‘ — started as a modest startup business in 2001 and has since surfaced as the friendly alternative to the corporate hosting takeover. 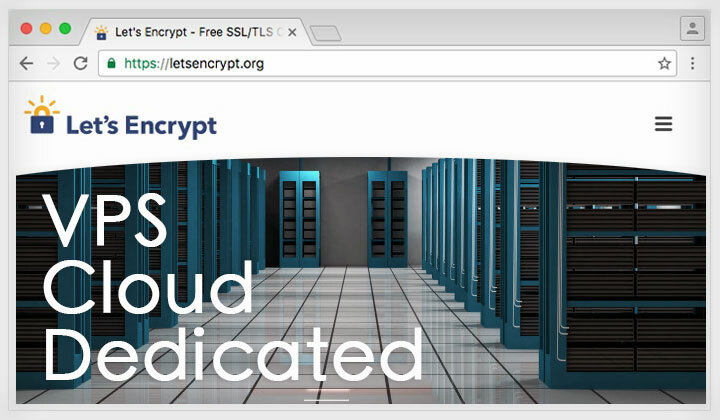 Not only is their hosting fast but so is their adaptation of new technology — so naturally it was time to bring free and easy SSL hosting with the Let’s Encrypt certification, for both shared and VPS hosting plans in 2019. 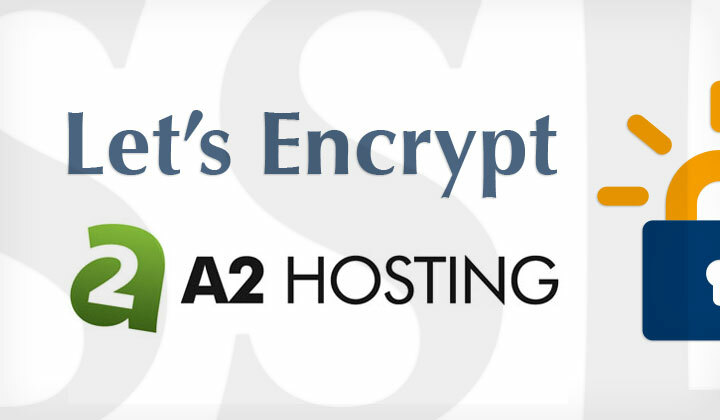 A2 Hosting is a registered trademark of A2 Hosting, Inc.
Their sympathetic attitude is a great strength of the brand — to which I will sign up any day. So, let’s get to the nitty-gritty..
Related: Knowledge Base SSL/TLS Instructions. To secure your website on the regular shared environment, register as usual and once you have your account set up — get in touch with A2 Hosting and the support team will be happy to enable the Let’s Encrypt plugin on a per-cPanel account basis. Related: Find out more details on Shared hosting. Although they can assist you setting it up, using the plugin couldn’t be easier. The certificates are renewed automatically every three months. Please note: Doing a Google search you can find some complicated steps for setting up shared hosting — this is outdated information and does not include automatic renewal. Let’s Encrypt certificates are now officially supported by all the A2 Hosting VPS environments: including Managed (non-root), Core (with root access) and Unmanaged VPS. Please note, that the certificates expire after three months. Related: Find out more details on VPS hosting. I recommend to open a support ticket and ask them to install the easy to use cPanel plugin that supports automatic renewals — if it’s not ready installed. Setting up the certificate is self-evident through the cPanel function. You may also choose to use the Let’s Encrypt client application to generate and install the certificate. This will be done on command line and only works with the Core or Unmanaged VPS plans that provide root access. 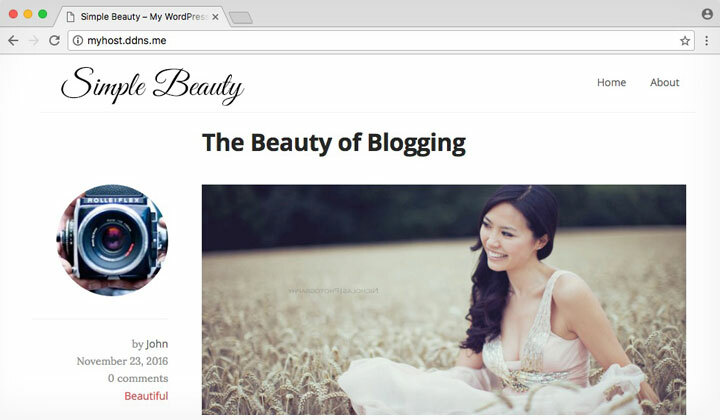 A2 Hosting also has a WordPress dedicated environment for those who want to get the most out of their blog or website. The Swift or Turbo plans are recommended for those who are running a business on WordPress and need fast page loads and time to first byte (TTFB) to increase conversions. And now of course, free SSL to improve search engine (namely Google) rankings. For details on Let’s Encrypt, please see the above section for the shared environment. Related: Find out more details on WordPress hosting. Once you have the SSL certificate up and running you are advised to first change your settings to redirect all pages to the new HTTPS version of the website. After that it’s recommended to go to Google Webmaster Tools to notify Google about the new secured address of your website. Windows plans use Plesk as the control panel — which has a ready installed plugin to easily manage SSL/TSL certificates. Detailed instructions are made available. Important Read: Instructions for Plesk Let’s Encrypt plugin. Under “Websites & Domains” in Plesk — you have a “Let’s Encrypt” icon that takes you to the plugin. 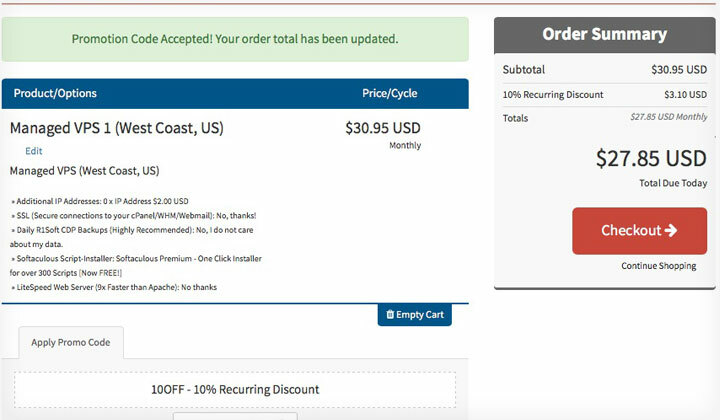 Simply fill in an email address and select the “include www.yourdomain.com as an alternative” option to make sure that both www and non-www versions of the website are included. Finally click on the install button. To verify the install — please go to “Hosting Settings” in Plesk. Under “Security” section, confirm that the checkbox for “SSL support” is selected and the previously installed certificate is listed and checked in the list of certs. Related: Find out more details on Windows hosting. Any questions, thoughts about A2 Hosting? Leave me a shout below and I’ll get back to you soon! This is a guide on how to host your website on HTTP and HTTPS simultaneously with WordPress. I’ll show each step with further explanations. Useful for converting old WordPress websites and new ones — use both protocols without conflicts and choose which version gets indexed by Google. 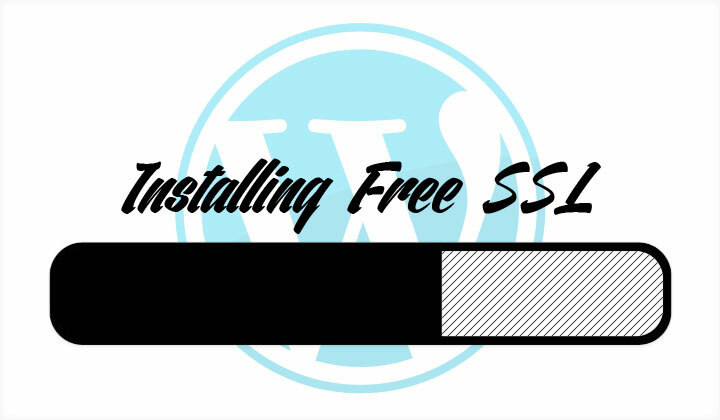 If you are starting with a fresh install of WordPress you may skip steps 2 & 3. Go through the steps in the right order so that at no point your site is giving the wrong signals to Google and the site works throughout the process. We will be editing functions.php, header.php (& optinally wp-config.php) files through the dashboard. Using a WordPress child theme will be necessary so edits are not over-written by theme updates. First and most important is to have a working SSL certificate. So make sure it’s installed and enabled in your hosting control panel. 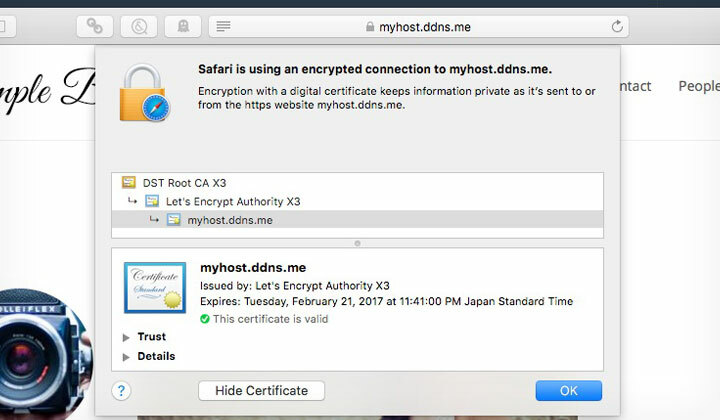 Still paying for your SSL certificate? Don’t. For example SiteGround provides completely free SSL. It’s one of the smarter hosting companies with great speeds for all plans. Also comes with free migration and superior support. You will also need to change internal links in content to the “//” format or otherwise user could be redirected to a different protocol after clicking on a link. At this point you should be able to open pages of your website using HTTPS. Then use this tool and enter the https url of your website. It will automatically scan each page and make sure there are no HTTP elements. Otherwise browser will give a warning for insecure content. Fix any content necessary. If you do this — all automatically generated internal links (for posts, menu, etc) will change depending on which protocol version visitor is browsing. If this would be set to https — visitors browsing the http version will get internal links to https versions of posts and pages; unable to use http. To avoid any duplicate content issues and to redirected search engine visitors to your preference; set a canonical URL which tells Google to index either the https or http version of your website (or see this post for a per post/page solution). By default WordPress sets a canonical URL which changes between http and https depending on which version the visitor is on. This is conflicting information and likely Google will choose https by default. To define your own — first remove the default canonical in headers.php by placing this code just before where it says “<?php wp_head(); ?>“. Check the page source code that you are left with only one canonical url. This will add new images automatically with the // prefix. This is an optional but recommended step — it’s good practice to force the dashboard to use https at all times as a safety measure. What we have achieved is a WordPress website where all of the content adopts to either protocol without conflicts and stay’s that way as you continue to build the site. Also it will be indexed with the protocol of your choice. Please — care, share and mention my post if you found it useful. Questions, comments? Don’t hesitate to give me a shout! Please note: Some of the pages on this post contain affiliate links and help to promote my work — thank you for your visit! Regards, Tim. Getting VPS hosting with DreamHost in 2019? Wondering if there’s need for the dedicated MySQL database add-on? Need speed? In this review, I’ve done my best to answer all this. DreamHost has affordable VPS hosting plans which all come with a unique IP, fast SSD storage, plenty of ram (basic 1GB is enough to run big websites) and unlimited everything else. There just has to be a ‘but’ in all this — the MySQL server is shared unless you pay at least 15/month. You do get a one week free trial of a privately run database, but it’s a nuisance to setup just to figure out if you need it or not. Wanting a definite answer — I have tested page speeds and processing time globally, with a resource hogging website running WordPress & Piwik Analytics (both with MySQL cravings). And came to some very conclusive conclusions!! I went through the trouble of running the install with and without a private database to compare the results — and I have affordable news for you. 1. 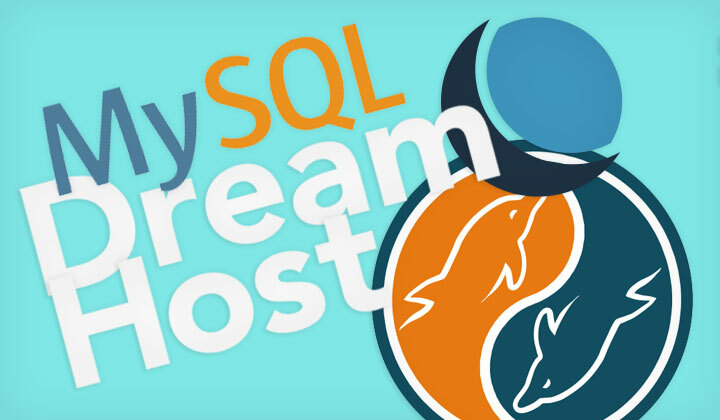 If you have multiple websites, other uses than WordPress and choose DreamHost VPS — most users won’t need to pay extra for dedicated MySQL. 2. If you want to run a super-fast WordPress site: you are cheaper and faster of with Managed WordPress Hosting AKA ‘DreamPress 2‘. Will MySQL VPS Give You..
a more reliable database connection? — Possible. a significant boost in performance? — Unlikely. Tests were run from five locations: California, New York, Texas, Australia & Sweden to see improvement after MySQL VPS was enabled. TTFB means Time To First Byte — how long it takes for the website to start loading. It was not difficult to hold my excitement when the results came in. While I have no doubt that MySQL VPS will prioritize database access and has benefits — with such a small difference in numbers, I could not find any evidence of a real performance boost. The slightly faster results can be purely coincidental because obviously the tests were done on a different day. Neither the often ‘verbally communicative’ DreamHost staff were willing to comment if such a benefit was to be expected. The tested website was mostly code that utilizes the MySQL database to render content. Also Piwik Analytics which was running in the background, is known to be heavy on database use. As well as the website has an average of 1500visits/day. Overall not bad for a test on database resources. So this would certainly have to be tested in a very demanding environment to seek potential benefits. Then again, if you are running a huge website or a very large number of sites at once, it’s more likely that even marginal increase in performance is worth the investment. Those who have none-huge websites and just need a powerful hosting architecture for their business are more likely to question the need for dedicated MySQL. And those businesses are potentially less likely to need it. Here are screenshots of the tests done to assess this case study. Do note! This website was not optimized in any way for the purpose of testing resource consumption. Obviously with various tweaks and a smart setup, you can run websites much faster with DreamHost. Setting up MySQL VPS from install will make things much easier of course. While you can upgrade (or downgrade) at any time, it’s good to know a couple of things. Databases are migrated to the new environment only at midnight pacific time after upgrading the database. The migration is completely automatic, however there is a short down time. Luckily however, with even a bigger 500MB database, migration was quick. Hope this was helpful and comments always most welcome! Thanks! Searching for website & blog traffic; Traffup at Traffup.net seems to be a popular free tool, after reviewing their service in 2019, my findings are not good. Hard manual work to exchange free traffic when alternatives can provide better value and automatic “hands-free” traffic (see alternatives below). Options to buy traffic are much more expensive than competition. 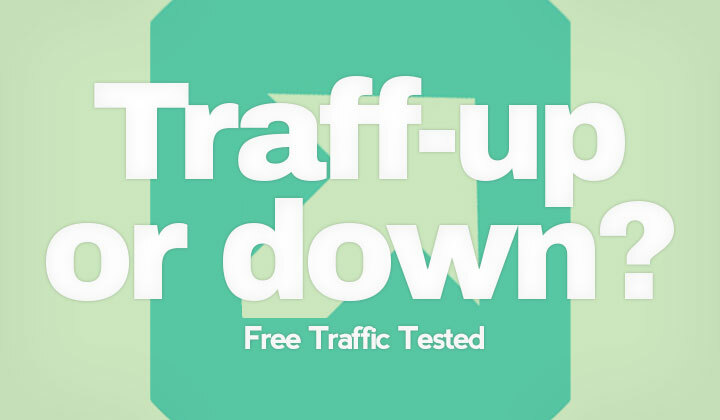 Traffic bounces & has referral URL from Traffup.net; exposing traffic source! Not suitable for large amounts of traffic. The HitLeap tool is the most popular — and because of it’s huge user base you can generate near unlimited amounts of traffic. You collect “hits” by running an application quietly in the background and exchange them for traffic. This is an easy to use tool with lots of features (custom referral URLs, geo-targeting and bounce reduction to name a few). And none of the problems above. Also there is PandaBot — which has learning curve but is the most advanced automatic traffic exchange tool there is and worth studying for some. Continue reading for the extensive review of 2019 below..
Judge for yourself though! — Here’s a complete review on both the good and bad to see if Traffup is worth it. As well as the essentials on how their service works. Located at traffup.net; this service is what is commonly known as a traffic and social media exchange tool. In this review however I’ve only focused on the feature to generate website traffic from around the world; both free and paid. Idea is that each user has an account for collecting points by visiting other websites through the traffic exchange interface. Once enough points are collected you can add your own website URLs to the system and use points to get other users to click to your site. New accounts come with 100 points as sign up bonus. To add your URLs that you need visitors for go to the “My Websites” section. You will need to select a title and category for the page. Available categories are: Architecture, Art, Books, Business, Cooking, Education, Entertainment, Events, Fashion, Food & Drink, Health, Home, Hotels, Humor, Internet, Jobs, Kids, Lifestyle, Media, Nature, Others, Personal, Pets, Photography, Poetry, Portals, Religion, Shopping, Society, Sports, Technology and Travel. Then set the amount of points you want to give per each visit; ranging from 20 to 50 points. However setting a low amount of points will decrease your chances of getting visitors & Traffup recommends setting the maximum of 50 points per website. I have tried it with 20 points and it’s not a realistic way to get visitors. This will add your URL to a page with a list of websites competing for clicks, ranking the ones with the most points above the rest. Also you will occasionally need to refresh the list for new sites. These time consuming steps are to ensure that the click is from an actual human and not a bot. However the chances of someone doing this rather tiresome manual work and on top of that actually browsing your website is near zero. Unless you are advertising other traffic tools and programs of course. For most users it doesn’t really make difference if the traffic is coming from a human or a bot. The “human” is highly unlikely to engage with your website anyway. And more advanced alternative traffic tools such as the ones mentioned in this post can actually reduce the amount of bounces and be more beneficial in terms of SEO. That’s why I simply cannot recommend the manual system with Traffup. I have tested the quality of traffic myself with an irresistible cute cat video. And found out that while Traffup.net has active users, there is not a large enough user base to generate large chunks of traffic. And according to my tests, every single visit to my website bounced (no one bothered to watch the incredibly cute cat video during the 15 seconds). What is perhaps most alarming is that the traffic source traffup.net is visible to website analytics; with no way to cloak or hide the website address. This could cause trouble for those who don’t want to expose the real traffic source to others! With alternatives such as Hitleap and PandaBot you can set the traffic to look like it’s coming from Google or social media sites like Facebook, Twitter, etc. Of course as with all websites you have beyond free options to purchase points and get the traffic without manual work. And currently the cost is at 2000 Traffup points for $9.99.. which translates to a total of just 40 hits. Needless to say purchasing traffic is hardly worth it if looking for cheap options, especially when alternatives can provide much more cost-effective hits. Purchasing points will also give you a so called PRO status for a very limited amount of time unless you are making very large point purchases. Although going PRO does bring a lot more value to the service; with geotargeting, more visibility in the list of websites and an ability to earn double the points. When it comes to these tools — the first thing I look for is popularity to guarantee enough visitors, all from different IP addresses to land on your page. Second is the method for traffic generation to make things as easy to run as possible. The guys at Hitleap based in Hong Kong have managed to create a new service that became a huge hit in a number of years. While many of the older services have been on the decline and with high account abandonment rate. Unfortunately Traffup is likely those to decline in the number of users as people wake up to easier methods. But really the cutting edge right now is PandaBot which takes automated traffic to a whole new level. Using sophisticated auto-browsers to open up Google and actually click on the links in the Google search results; pushing your website ranking higher with positive user signals. Also the system browses your website like a real human visitor making the automated traffic look and work like organic traffic does. But the biggest problem with PandaBot is with their high learning curve, so growth is much slower. What’s your experience with Traffup and do you think it’s worth the time? Please, comment! And best of luck with all of your traffic needs! Please note: The reviews on WebHostWhat occasionally contain affiliate links or other links for promotional purposes. This is free of charge to blog visitors and helps me to work hard with new content by means of monetary aid. Biggest thanks to each and every one of my readers! The free SSL certificate authority has gained popularity through Let’s Encrypt supported shared hosting — but what about VPS hosting plans in 2019? Here’s my research on Let’s Encrypt for VPS, Cloud & Dedicated Hosting. Support on VPS (Virtual Private Server) and Cloud Hosting plans can vary – from easy automatic install and certificate renewals, to manual install or non-existant support. Looking for companies that have the best possible and easiest support for using the free ‘Let’s Encrypt’ SSL certification — I compiled this list of hosting companies with info on each to get a picture on what one is up for or against. These providers have excellent support for Let’s Encrypt by making the installation and management of the certificates as easy as possible. The most advanced easy to use cloud hosting platform, enables you to quickly launch VPS cloud server on five leading platforms DigitalOcean, Linode, Google Cloud, Amazon & Vultr. A managed solution with fast support for advanced hosting. All with one-click install of free SSL with LetsEncrypt. Another host with great support for all hosting plans, both VPS Hosting and Dedicated Hosting. They have their own control panel where you can easily manage all your certificates and also renewal is completely automatic. Easy to use management for Let’s Encrypt certificates is has been further enabled for Cloud Hosting and Dedicated Servers. See this page for their tutorial to see just how convenient it really is. Unlimited free SSL certificates can be installed on your account, through easy to use installation software. 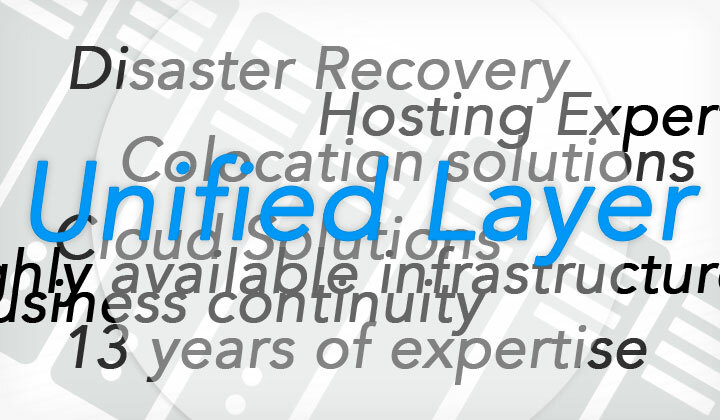 All plans, including ‘Managed VPS’ and ‘Dedicated Server Hosting’ are fully supported. The certificate will be automatically updated each time before it expires. A video tutorial is provided of the whole process, although it’s so easy that you most likely don’t even need any help with it. Tip: If you are using a content delivery network such as CloudFlare to cloack your IP address, you need to disable it temporarily for the installation to complete. These companies say that they support the certificate authority and give some guidance to the process but require manual install of the certificate. Usually command line instructions are fairly easy to follow, however you will need to set up an automatic renewal script by yourself (likely as a ‘cron’ job) because the certificates need to be renewed every 90 days. See this link for instructions. 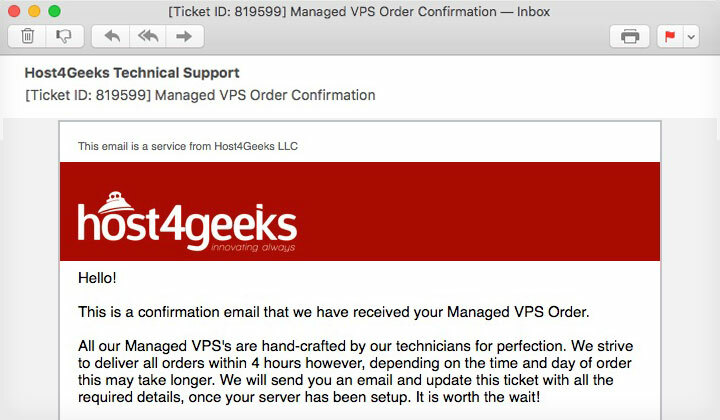 Although GoDaddy supports only manual installation of Let’s Encrypt certs for VPS — they have provided instructions on how to do so. But even though the certs expire every 90 days they do not give instructions on writing a renewal script. You will need to figure out a way to get ‘crontab’ working for you. Currently Let’s Encrypt is only available for the ‘Unmanaged VPS Hosting’ and ‘Unmanaged Dedicated Server’ plans. Clear instructions are provided for manual install and again, setting up automatic renewals will require a bit more effort. These companies provide either poor support or none at all. As the trend increases, hopefully the rest will have no choice but to join in. By the looks of things – world’s biggest hosting agglomerate EIG (Endurance International Group) is yet to budge. HostGator — There are reports that you can ask them to install the certificate by sending it to them by email but the process seems complicated. Does not seem like they are willing to really support this – EIG owned. Hawk Host — When questioned about this, they replied: “In VPS, you’d need to install Let’s encrypt manually from your end, we do not provide support for third party application on our VPS plans as our VPS plans are semi-managed.” – So expect to be on your own with this one. This list will be maintained and added to over time – check back later! Any questions or comments most welcome. WordPress theme outsourcing is a booming business, often dominated by global freelancing platforms in 2019. This explosion has forgotten the needs of quality outsourcing which is at best a delicate relationship with the right partners. 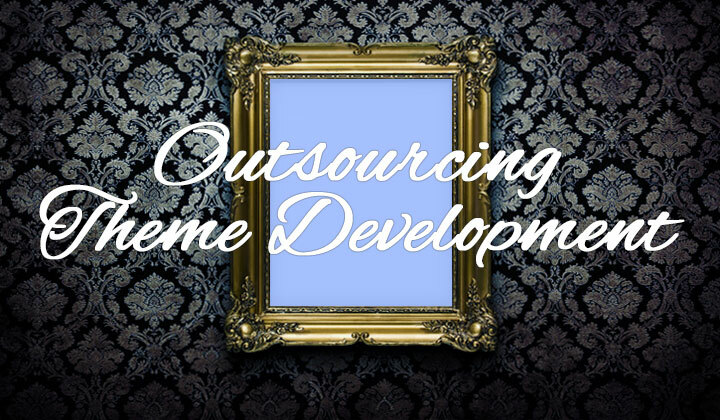 Especially to outsource WordPress theme design & development — I’ve seen how it’s easy to waste your time and money. But not with Codeable. And the range in quality of available outsource services is staggering. Some even turn to Fiverr for web design services — starting at $5/work. Others turst on global freelancing platforms where you are likely to pay premium for forked themes, sometimes presented to you as the original work. No to mention that trusting on seller reviews, and ratings can be incredibly deceptive. I’m not saying that you cannot be successful with cheap WordPress outsourcing. But most people just aren’t aware of what they are really up against. And neither understand the real value of the work they are getting. Those who can grasp all the nuances of high quality themes and see the big picture on development with it’s flaws, are likely doing the work by themselves. The functionality of your WordPress website or blog is paramount to your online success for which you need the best possible service, which gives you edge over competition. And the best thing is that still many businesses fail to understand that, which you can use to your own advantage of course. So what are you getting with Codeable? The key to high standards is the people you work with and if there’s one company that understands that, in my experience it’s Codeable. 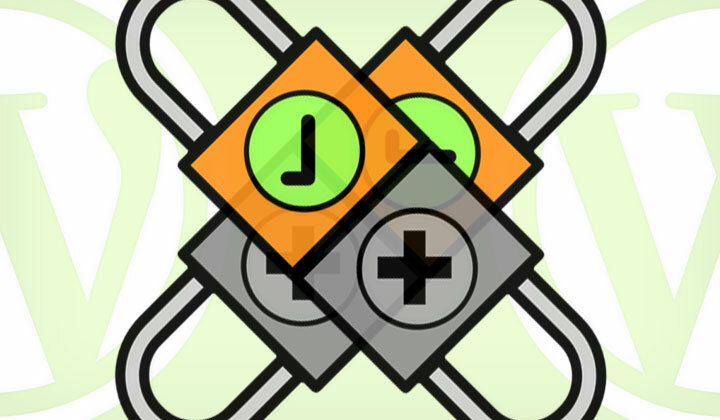 Their developers go through rigorous testing, and maintain a close relationship with the team. Not only you are dealing with true WordPress experts but they are constantly trained to follow strict guidelines. Every aspect is designed to cater to the specific needs of a client, making project submission flow and save your time. It’s platforms like Codeable who are targeting a specific WordPress outsourcing niche, that are able to build an effective framework for serving it’s customers. Expect a prompt response around the clock from staff who’s passion is in WordPress development. The feeling of dealing with people who care in itself is a treasure worth coming back to. And according to their statistics, 79% of customers do come back for more work. So obviously they are doing something right. Check out their kickstart guide to WordPress outsourcing to get an insightful look into the specifics of successful outsource projects. What’s your experience on outsourcing WordPress themes & websites? I’d love to hear your stories on design & development. And a kind reminder that some of these posts, and how to guides may contain links that are affiliated with third-party services & products. This will never cost you anything, and likely you won’t even notice how your amazing support helps me out. Big, thank you. I hope this post was this post useful. And please, share if you can. Looking for a self-managed VPS for reliable, high-performance web hosting? That’s what Colossus Cloud provides, since the mid-1990s — essentials reviewed here! Need an easier managed solution in 2019? See their sister brand, ServerPoint. Colossus Cloud at ColossusCloud.com, offers SSD cloud servers, with quick server deployment within minutes. Similar to many other VPS providers. But there are differences with more conventional, unmanaged VPS hosting. Support is at the human-core of their service. So you get full control of your server, and hosting environment, yet round-the-clock, professional support is ready to take on any of your VPS problems, quickly and swiftly. Their colossal support alone is worth beyond their pricing if you ask me. While you are backed by a service level agreement, ultimately you just want your website to be connected to the outside world, at all times. Standing behind multiple 10gig networks should put you at ease. While hosting on SSD is an obvious choice, at Colossus Cloud resources are not virtualized, meaning that it’s like being on a dedicated server. Except that the cloud infrastructure enables you to provision resources as needed bringing down costs. You can deploy servers of all major Linux distributions, Windows Servers and even Windows desktops such as Windows 7, and Windows XP. Or provide your own image. With global locations within your fingertips — Silicon Valley (US), Las Vegas (US), Dallas (US), Ashburn (US), Amsterdam (NL) and Singapore. More to come! 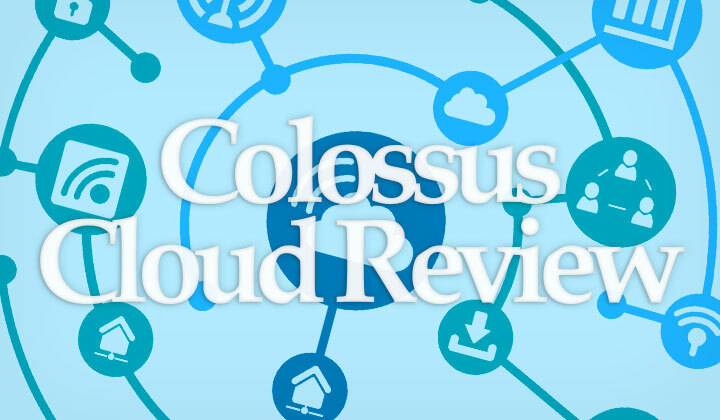 There was my ColossusCloud review on the essentials — check pricing here. Any questions on VPS hosting, managed or unmanaged? Comments on Colossus Cloud and beyond welcome! I would also like to note that, some of the reviews and other bits of content may contain affiliate links. This is to support the work put behind the blog. Hopefully the benefit is mutual, which won’t cost any extra anyway. And huge thanks for having a read! This is a growing list of the best paying web-hosting affiliate programs in 2019 — sorted by minimum sale earnings, recurring commission or one time sale percentage. Details provided on each program and suggestions/edits welcome in comments. Web hosting is a lucrative and popular affiliate market with some of the best paying commissions out there. It’s also a widely applicable marketing niche for all kinds of websites — I’ve seen anything from cooking sites to travel and fashion blogs making a profit from teaching their readers how to setup a blog or website of their own. 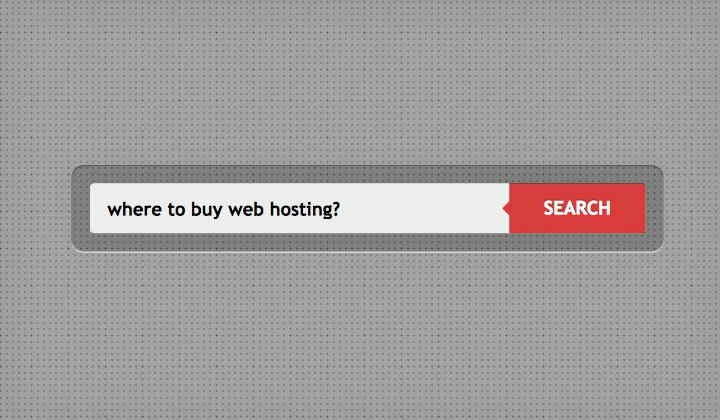 So just how much can you make being a web-hosting affiliate? Choosing a good partner could land you with a nice monthly profit with just a handful of signups. Sorted by minimum — one time earning from referral sales. Company with ‘WordPress perfected hosting‘ — founded in 2010 and based in Austin, Texas. Focus on blazing fast WordPress performance, ease of use, customer service and high-tech data centers from Google Cloud & Rackspace. They pay $200 or 100% of first month’s payment — whichever is higher. Speed focused hosting company with a highly reputable brand and friendly customer service. Based in Michigan and founded in 2003. Big variety of hosting plans and cumulative earnings, from a $85 minimum to $140 depending on the amount of monthly sales. Plans: Shared Hosting, VPS Hosting, Cloud Hosting, Dedicated Hosting, Reseller Hosting, WordPress Hosting, Blog Hosting, eCommerce Hosting, Forum Hosting and a lot more..
Offering “First class hosting since 2004“. Rewards start at $75 or alternatively choose a 50% recurring fee payment program. Note: you need to print out the affiliate agreement, sign it and scan both the signed agreement and your passport, then send it over for verification. Affordable web-hosting from Illinois, US — all plans with unlimited space, bandwidth, domains and so on. Basic hosting only. Fixed minimum capped at $65 for every sale. A well known hosting company and affiliate program, offering “fast and professional hosting services” based in Utah since 2003. Payment’s have a minimal threshold of USD$100. They have been acquired by Endurance International Group (EIG) — a web hosting conglomerate. This Oklahoma-based company was founded in 2010. Offering the “industry’s cheapest website hosting” with unlimited space and bandwidth. Every sale earns you a minimum of $65 and more than 19+ monthly sales will land you with a payout of $135 each. Custom coupon codes, and many landing pages available. An old web-hosting service offering cheap and easy ‘just‘ hosting. A fixed $60 per referral and payment threshold at $100. Acquired by EIG. Providing cheap hosting since 2005. Website says $75 commission and once you sign up it says $50 which is probably more like the truth. If you don’t reach a balance of $200 within 6months, the commission will be forfeited. Privately held hosting company with ‘quality-crafted hosting services‘ — founded in 2004 and based in the US. Cumulative sales earnings, from a $50 minimum to up to $125/sale for accounts with 21sales or more/month. Relatively short payment withholding period of 30 days and commissions paid out weekly. Plans: Web (shared) Hosting, Reseller Hosting, Cloud Hosting, Dedicated Servers, WordPress Hosting and more.. The ‘powerful & eco-friendly’ hosting company from California, founded in 2006. All plans run with renewable energy. Cumulative earnings, from $50 for 1 sale, $60 for 2 sale, … up to $100 for 6 or more monthly sales. Los Angeles based old host founded in 2001 — built on trust, technology, customer service and commitment on open source. Fixed payout of $50/signup with bonuses opportunities up to $25/sale. With IP tracking of sales and 2nd tier commission, it’s an affiliate friendly option in the mobile age. IP & cookie based tracking! Founded in 2002, this US web-host is a classic with massively popular beginner hosting services and affiliate program. Headquartered in Houston, TX the company sells with a big brand name and offers cheap solutions and loads of promotions. Earnings increase with sales — up to $125 for 21 monthly signups or more. Acquired by EIG. Managed and fast WordPress hosting for designers and other creatives. Flywheel was founded in 2012 now headquartered in Nebraska. Reward for the tiny plan is $45 and the five tier level system goes up to $500 for their agency level plan. DreamHost is a privately held popular, outspoken and ‘award winning‘ hosting company founded in 1997, based in US. They have a massive customer base and a popular affiliate program — monthly plan minimums staring at $30, annual plans and monthly dedicated plans go up to $200/sale earnings. Holding period is 97 days, after which you can apply funds to your hosting account or cash out with PayPal. Indian hosting company founded in 1998 — selling all kinds of hosting including reseller plans despite the name. The minimum of $30/sale is for 1-5sales per month, and earnings can go up to $125/sale with 21 or more monthly sales. Landing pages are available in Global English, India English, Turkish and Chinese. Acquired by EIG. Founded in 2003 and US based, an an expert on Windows hosting solutions but does Linux packages as well. Cloud VPS on SSD seems to be the main offering. They changed from fixed 12.5% earnings to a tier program where commission per sign up is from $25 to $200 depending on the number of monthly sales and hosting product. Focused on performance and affordability, going 7+ years strong with their “Geeky” services. Flat $25 payout for the shared and VPS plan, and party worth a $100 for dedicated signups. Also there’s a 10$ signup bonus. FatCow has been around since 1998 with it’s “simply smart web hosting” and provides green powered services with oodles of disk space and bandwidth. Their “Cheap Sheep” plan starts with a commission of $25 and reaches up to $150 for dedicated services. A classic free web-hosting provider, there is a very small payment for free signups but upgrades earn a fixed $25/sale. The US based company was founded as early as 2003 and carries a well known free hosting brand. Managed and feature rich cloud hosting platform by Malta headquartered company founded in 2011. Offering straight up $25 minimum for all signups and a recurring commission of 10% for the rest of the year if customers continues their subscription. This could land you with a $270 on their cheapest 1GB plan. Lunarpages Internet Solutions was founded in California, 1998 and offers “intelligent web hosting” solutions. They completely redesigned their website in 2016. Tier based commission structure starts at $20 for starter, $70 for basic plans on the bronze level and can go all the way up to $300 for diamond affiliates. Signup bonus $10 and coupons available. A private hosting company founded by industry professionals, excellent support and super fast shared hosting plans. Payment after $100 threshold for referred sales active for 60 days or more. Low minimum for monthly plans at $10 but good payout with 6, 12 and 24 month plans up to $170 for shared hosting. Plans: Linux, Windows & WordPress Shared Hosting, Linux & Windows VPS Hosting and Dedicated, Business plans. Cloud SSD hosting company focused on speed and cutting edge performance, founded in 2011 and HQ in Delaware, US. Earn $10 to $40 for a signup on their main plans, the rest are a recurring 10% commission structure. Established in Arizona since 2006, Crucial Hosting provides scalability, availability and performance in their web hosting solutions. You can choose between 100% of first month payments, between $10 and $100 according to plan. Or recurring 10% of all monthly payments. You can also create your own coupons of up to 50% off. A multi-award winning and cheap hosting company from the UK, founded in 2001. Professional hosting solutions from 2007. Basic shared plan starts at $5 per signup and goes up to $25 for resller, premium and VPS. Signup bonus of $5. No minimum — recurring percentage of all future payments. BWF Hosting is a small UK based company founded in 2003 and provides true expertise in the web-hosting field. Note: Commission is only counted towards their shared and reseller hosting accounts. UK based company with a datacenter in Berkshire that uses 100% green energy. Earning scheme has changed from first sale percentage to a percentage of all recurring payments. This US based company excels in VPS and Cloud hosting since 2001. Get 50% of first payment and a recurring 10% earning thereafter, there is also a signup bonus of $5 and many other incentive bonuses. Warning — only monthly subscriptions count as earnings! No minimum — paid per percentage of first payment only. Variety of web Services since 2002 and based in Seattle. Information contradicts between a 75% and 100% commission, likely the former. Signup bonus $5. Privately held, 2004 founded company with ‘affordable web hosting‘ with a good range in available data center locations. Earnings at yearly and biennial plans. Popular domain registrar, providing “powerful tools and rock-solid security” for it’s hosting services, US based and founded in 2001. You get a low 15% commission for the first payment of first-time customers. Payments can be withdrawn after 30 days from sale. Smaller hosting company from Pune, India founded in 2012. They are focused on affordable plans, speed and efficient customer service. Payment threshold of $100 to be able to request for withdrawal of funds. Earnings at longer subscriptions. European web hosting since 2008, headquarter in the Netherlands. They have a signup bonus at $25. UK Based, 2003 founded company with focus on quality support. Commissions for monthly subscriptions are based on the yearly fee which is divided by 12. Yearly subscriptions can earn anything from £7.50 to £150 on dedicated. Coupons available. new suggestions and edits most welcome! !